Danielle Ivory, Ben Protess, and Kitty Bennett of the New York Times win the July Sidney for “When You Dial 911 and Wall Street Answers,” a groundbreaking exposé of private equity firms buying up ambulance and fire companies, slashing services to the bone, and hounding the public for money. It reveals the inherent tension between the push to turn a profit while providing the essential emergency services we all count on. Nationwide, approximately a dozen ambulance companies have fallen into the hands of private equity. When emergency services are run for profit, service suffers. A Tennessee woman died because a private ambulance company dawdled so long to assemble an ambulance crew that one attendant had time to go for a smoke break. New York paramedics were pressured by supervisors to raid hospital storerooms for essential medical supplies–as cost-cutting left them without critical medications. so that their firms wouldn’t have to pay for them. Homeowners who didn’t buy private fire coverage have been hit with bills up to $59,000 for private firefighting. One Tennessee homeowner was billed $15,000 even though his house burnt to the ground before firefighters showed up. Danielle Ivory reports on the intersection of business and government for The New York Times. For her recent work on a team covering the U.S. government’s inattention to auto safety defects, she received a Howard Scripps Award for Public Service Reporting, a Society of American Business Editors and Writers Award and a Deadline Club Award. Ben Protess is a reporter for The New York Times, where he covers Wall Street and white collar crime. Before joining the Times in 2010, he reported for the Huffington Post Investigative Fund in Washington and ProPublica in New York. Kitty Bennett has been a news researcher for over 20 years. Specializing in politics and public policy, she has worked on stories ranging from the collapse of the financial system to lobbyists’ influence on attorneys general. 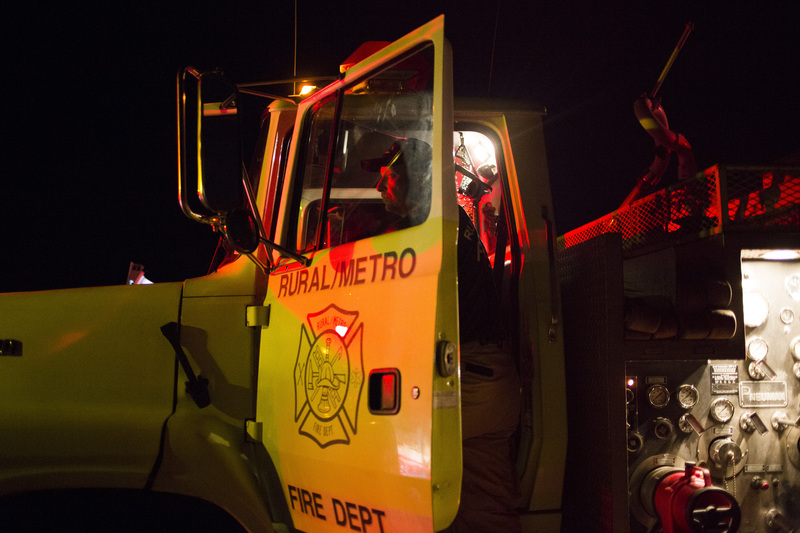 A Rural/Metro tanker truck delivers water for a two-alarm fire. The company, until recently backed by private equity investors, often bills homeowners thousands of dollars for putting out fires. Q: How did you learn that private equity companies were buying and running ambulance companies and fire departments? A: Before we started working together on this project, Ben and I had come to this topic separately. Ben was interested in all of the ways that Wall Street was expanding its reach into the lives of Americans and was starting to find companies that had taken over ambulance services. I had been interested in the privatization of public safety and had begun tracking some of the same companies. Q: How many emergency services companies have fallen into the hands of private equity nationwide since the financial crisis of 2008? A: About a dozen emergency services companies have recently been owned or controlled by private equity – some swooped in before the financial crisis as well. Q: You write about a sophisticated playbook that devised to wring money out of unconventional acquisitions like ambulance companies. How does private equity make a profit off public services? A: Emergency services can bring in a steady stream of revenue because people regularly rely on ambulance care and the companies can bill for that service – whether that bill is paid for by Medicare or Medicaid, an insurance company or the patient. But these companies can also raise prices for services, bill aggressively, use the courts to collect money and cut costs. Some firms bet that cash-strapped towns would increasingly outsource emergency care, and some bet that President Obama’s health care overhaul would insure millions more people, providing new paying customers for their companies. The model is not foolproof, though. For instance, many newly insured Americans turned out to be on Medicaid, which restricts some of the most aggressive billing tactics. Of the 12 ambulance companies recently owned by private equity, three filed for bankruptcy in the last three years, according to public filings and S&P Global Market Intelligence, a research service that tracks over 1,100 major ambulance companies in the United States. No other ambulance company tracked by the research firm filed for bankruptcy in that period. Fire services are a bit different. Rural/Metro, recently backed by Warburg Pincus and Oaktree Capital Management, sells homeowners an annual subscription for fire protection, often ranging from $100 to $500, depending on the property size. If a nonsubscriber suffers a fire, Rural/Metro will still answer the call, but then it sends a bill well above the subscription price. And, when people do not paid their fire bills, Rural/Metro can take them to court. We found bills ranging from a few hundred dollars to $59,000. Q: The story is based on volumes of internal documents. Can you talk a bit about what kinds of documents you drew upon and how you went about obtaining them? The story is based largely on documents and data that we obtained through state and local freedom of information requests and internal emails and other documents we received from employees and former employees at the companies. We requested contracts from municipalities where Rural/Metro operated exclusively, in or near cities, as well as any performance data that the company was required to report under those agreements. Data on ambulance performance is nearly non-existent at the national level and difficult to compare from town-to-town, company-to-company or even from contract-to-contract within one company, but it is possible to analyze one company’s performance in a municipality over time. To avoid comparing apples to oranges, we examined the company’s performance in each area over time. We also requested hundreds of pages of records from local courts across the country, where Rural/Metro sued its customers over unpaid fire and ambulance bills. Even locating the correct courts to search was challenging since many do not put any records online. One incredibly helpful court clerk spent, literally, more than an hour reading case numbers to me over the phone, so that I could make a written request for those files. LinkedIn was a great resource for finding current and former employees at the companies. When Transcare filed for bankruptcy in February, we immediately contacted employees via LinkedIn. Someone – I don’t know who – put my contact information up on a secret Facebook page and, for days, my phone would not stop ringing. Q: Was there anything you wish you could have included in the story, but didn’t? A: We found all sorts of fascinating details that simply did not fit into the story. I attended Transcare’s bankruptcy auction at its Brooklyn headquarters in April and found some startling things there, including ambulances that auction workers had trouble starting and long-expired medication sitting on a shelf. There were former Transcare workers milling around looking at their old equipment. One told me that he had watched the ambulance he worked on get sold for a few thousand dollars. It was an incredible scene to witness, but we did not have room in the story.